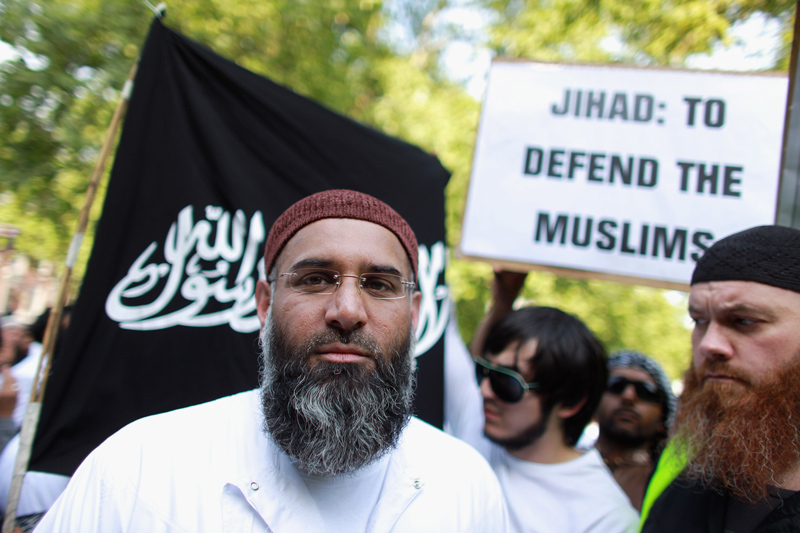 British police have even been taking lessons about Islam and “Islamophobia” from radical Islamist groups such as Mend. One of the most active Mend figures, Azad Ali, has said that he has “love” for Anwar Al-Awlaki, an influential US-born Islamic terrorist, who was killed by a US drone strike in Yemen in 2011. Since then, however, he appears dutifully to have returned to the submissive fold and in February 2018, he was once more preaching the politically correct gospel of “Welcoming strangers to our country and integrating them into our culture… We must be generous and allow ourselves to change with the newcomers and create a deeper, richer way of life”. One year ago, in February 2017, Welby suggested that Brexit and the election of Trump were both “in the fascist tradition”. It is virtually impossible for “Islamophobia” to be “underreported” in London. The UK is nothing, if not clinically obsessed with “Islamophobia”. In 2016, London mayor Sadiq Khan’s Office for Policing and Crime announced it was spending £1.7 million of taxpayer money policing speech online. Less than six months ago, London police teamed up with Transport for London authorities to encourage people to report hate crimes during “National Hate Crime Awareness Week”, which ran from October 14-21. The events were mainly targeted at Muslims, with officers visiting the East London Mosque to encourage reporting hate crimes. British police have even been taking lessons about Islam and “Islamophobia” from radical Islamist groups such as Mend. One of the most active Mend figures, Azad Ali, has said that he has “love” for Anwar Al-Awlaki, an influential US-born Islamic terrorist, who was killed by a US drone strike in Yemen in 2011. Meantime, while the police obsess over “Islamophobia”, regular crime in London is exploding. The latest statistics from the London Mayor’s Office for Policing and Crime show that in the past year, homicides have increased 27.1%, knife crimes have increased 31.3%, and there were 2,551 incidents of gun crime, representing a rise of 16.3%. Police recorded 7,613 rapes in the 12 months through January 2018 compared with 6,392 for the previous year, a rise of almost 20%. As reported by the Evening Standard, the figures also show an 8% increase in other sexual offences in the past year, bringing the total number of reported rapes and sexual assaults in London to almost 20,000. Campaigners have suggested the real figure could be “significantly higher” once unreported attacks are taken into account. British police, meanwhile, say they are at a loss to explain what is causing the rise in rapes. In Rotherham alone, after 16 years of dismissing the problem, the number of child abuse cases rose to 1,510. The National Crime Agency (NCA) inquiry, “the biggest of its kind in the UK, has identified 110 suspects, of whom 80% are of Pakistani heritage”, officers said. “Robinson also became a regular fixture in our media, giving him the platform to attack the whole religion of Islam by conflating acts of terrorism with the faith, often citing spurious claims, which inevitably stirred up tensions” Rowe said, “Each side feeds into each other’s extremist rhetoric with the common goal of increasing tensions and divisions in communities”. Rowe also said, “The right-wing threat was not previously organized. Every now and then there’s been an individual motivated by that rhetoric who has committed a terrorist act, but we’ve not had an organized right-wing threat like we do now”. Perhaps Rowley might stop to consider why there is now an organized right-wing threat. The British establishment — people such as Rowley — have categorically embraced the “Islam is peace” narrative. The establishment has even let itself and its police be lectured by radical Islamist organizations such as Mend on what Islam is — and has doggedly refused to listen to any dissident voices. Large parts of the British population, therefore, have nowhere to turn with their frustrations at the rapid Islamization of British society, apart from anti-establishment or far-right organizations. No other organizations appear willing to have an open discussion about the ongoing Islamization. Rowley and other establishment figures, especially political ones, continue to evade responsibility for this upheaval — a situation that seems bound to continue, unless or until the British establishment — political, security, educational, clerical and cultural — begins to address, openly and honestly, the rapidly increasing speed of Islamization into British society.